Remember that time everyone posted their handmade Christmas presents the week after Christmas? Well.....I didn't. So, a month later, I will now show you the only handmade Christmas present I made this year. 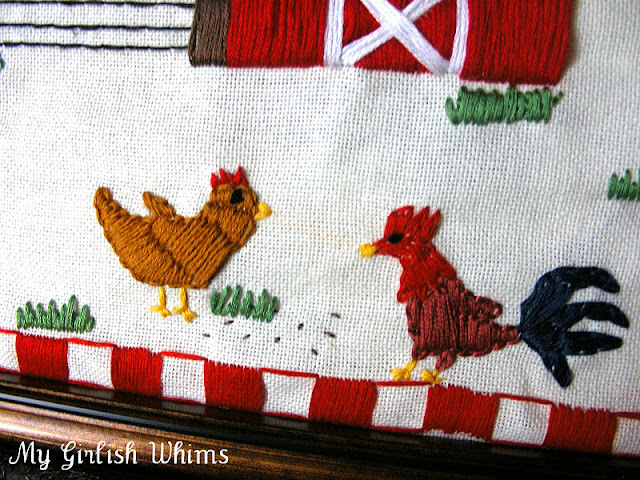 I give you....my chicken farm embroidery. I learned how to embroider this past semester while I was still out at school, and this was my biggest project! 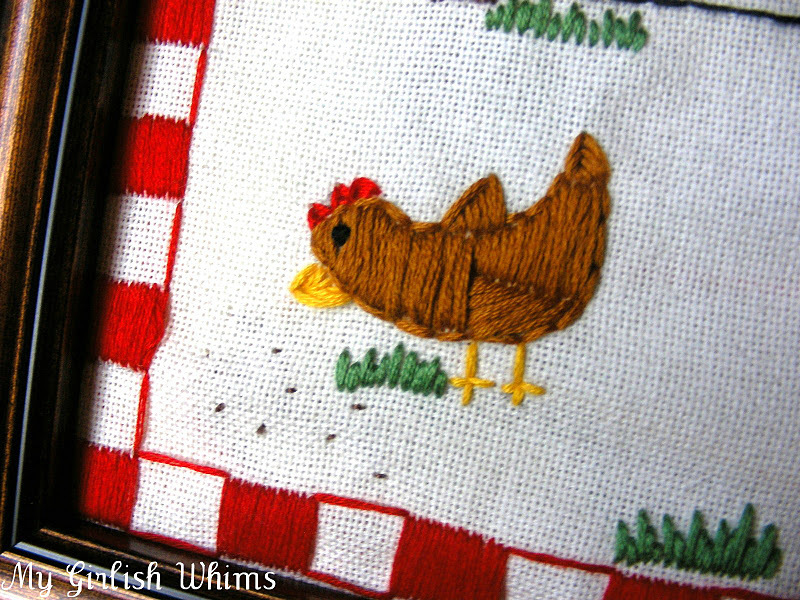 This is the culmination of many nights at embroidery club (yes, my friends made an embroidery club. We're cool like that...) and many TV show watching and embroidering sessions. I made this farm scene for my soon to be in-laws. They live in an old country style home and have about 60 chickens at their house that they care for and then sell their eggs by their barn to local folks. 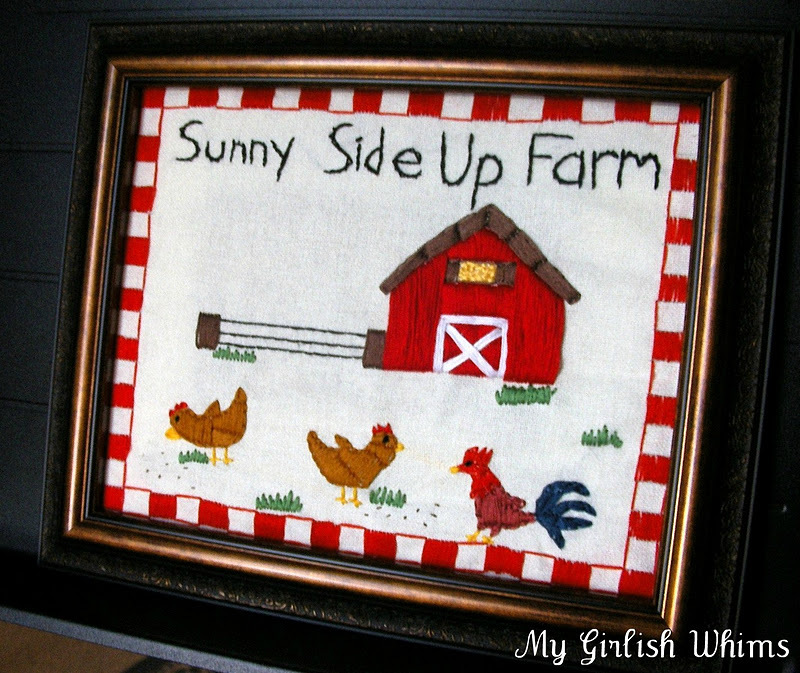 They've coined their little chicken business as Sunny Side Up Farm. 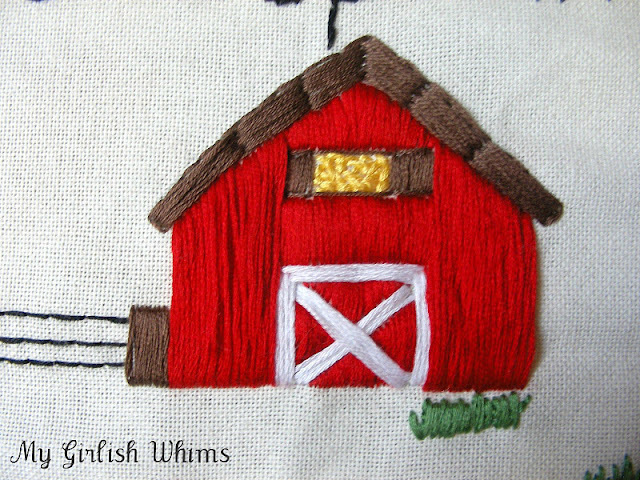 And a barn with some hay! It's not perfect, but I was pretty proud of myself. My in-laws loved it too. It was personalized to them and I think they appreciated that I took the time to make it for them! It's currently displayed on their mantle. Hello!Lucky specializes in unique wedding invitations with a vintage and elegant feel with letter pressing available! That's really cute! Maybe I should learn to embroider. Oh my gosh, that is so amazingly cute! Love this! I host a Home and Family Friday linky party each week. 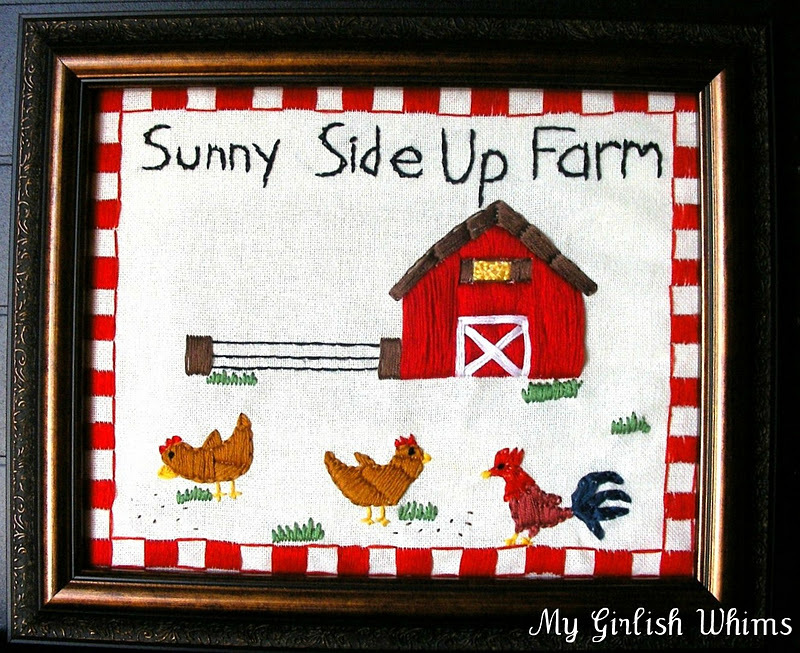 I'd love it if you'd stop by and link up!